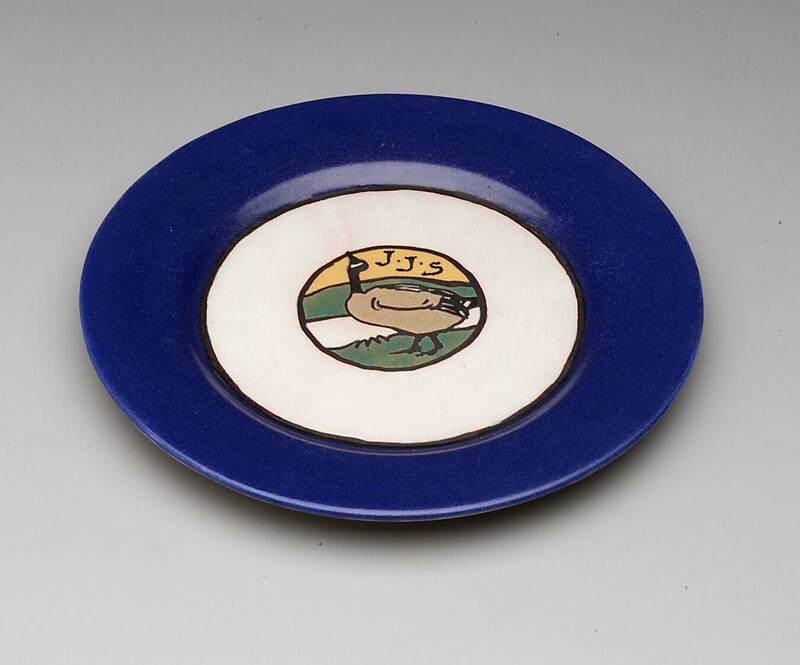 Large glazed plate with blue rim, off-white inner circle, and central polychrome medallion decorated with a goose in a landscape and the initials “JJS” in black. Commissioned by Helen (Mrs. James J.) Storrow, the founder and benefactor of the pottery, for her family table; the service descended to Helen's son, James, and then to her grandson, James Storrow; to MFA, 1999, gift of James Storrow.